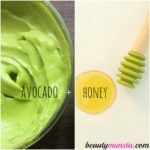 Brightening Pineapple and Honey Face Mask for Dark Spots, Blemish Removal & Skin Lightening - beautymunsta - free natural beauty hacks and more! Pineapple Pineapple is rich in bromelain, an active fruit enzyme that was used in Native America to cure inflammation and swellings. 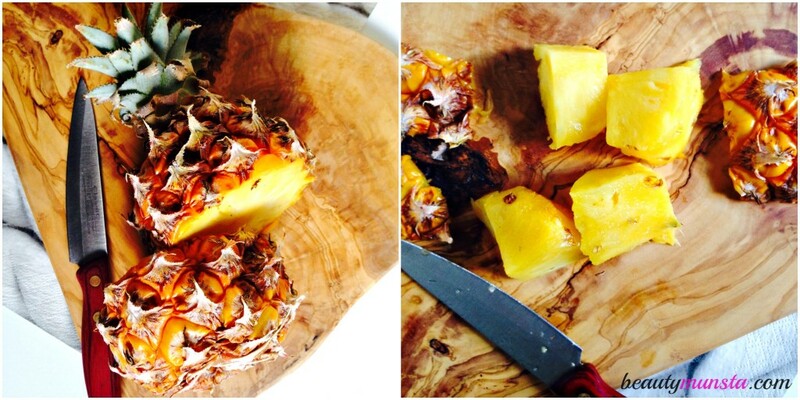 Native American Indian women used to use pineapple to cleanse their skin as well! 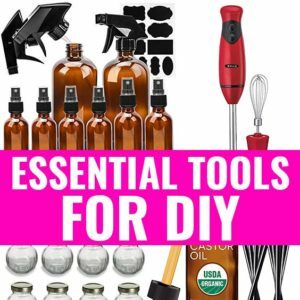 Bromelain will help exfoliate by breaking down dead cells on the skin’s surface and dislodging them from deep within skin pores. Honey Honey has a soothing and calming effect at the same time contains powerful antimicrobial properties that will fight off germs and acne causing bacteria. Honey is a natural humectant which will nourish skin cells with moisture and prevent dryness. In this face mask, honey will also help counteract the aggressive exfoliating properties of pineapple. 1. Wash your pineapple and carefully cut 4 small – medium sized chunks. 2. 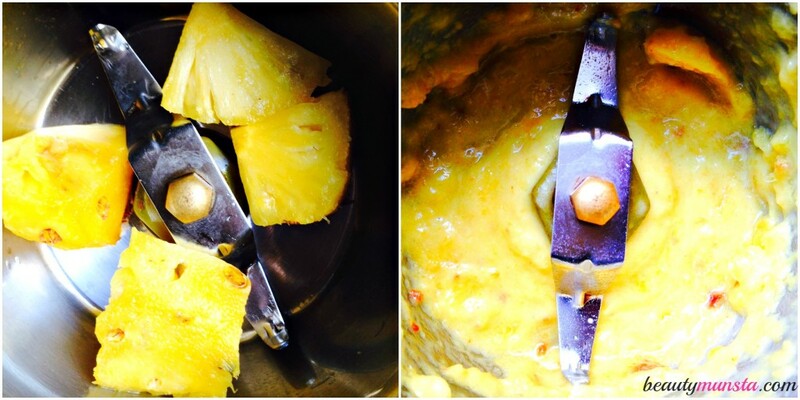 Toss your pineapple chunks into a blender or food processor. You will need to blend these into a thick lump-free puree. 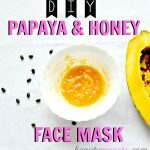 Do not add water while blending as this will dilute the effects of the mask and make the pineapple honey face mask drippy. 3. 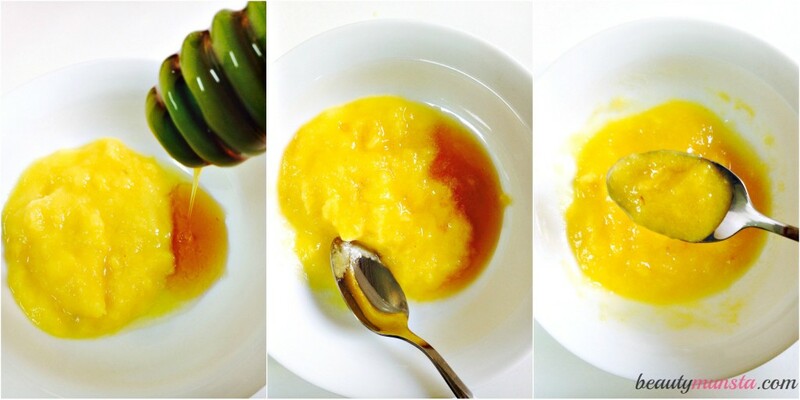 Pour your 1 tablespoon of pineapple puree into a bowl and stir in 1 teaspoon of honey. Mix it very well until you get an even mixture. 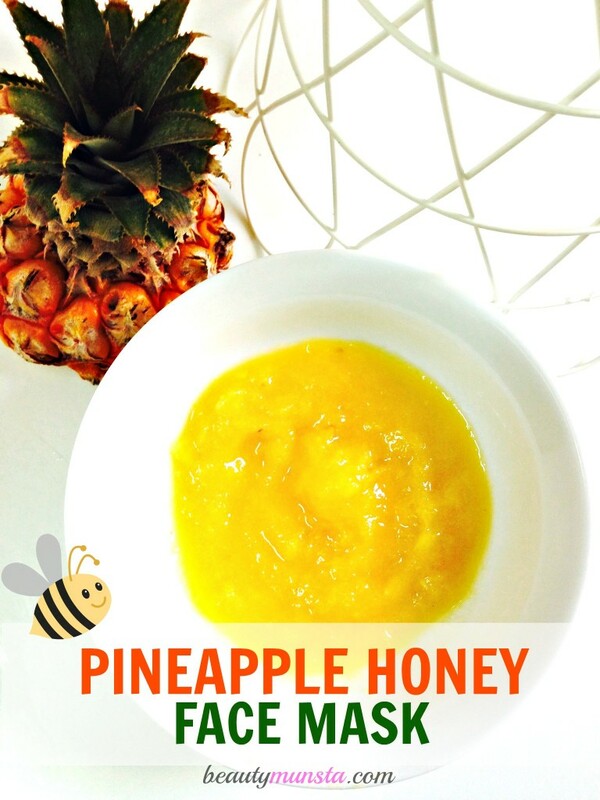 Your pineapple honey face mask is ready! 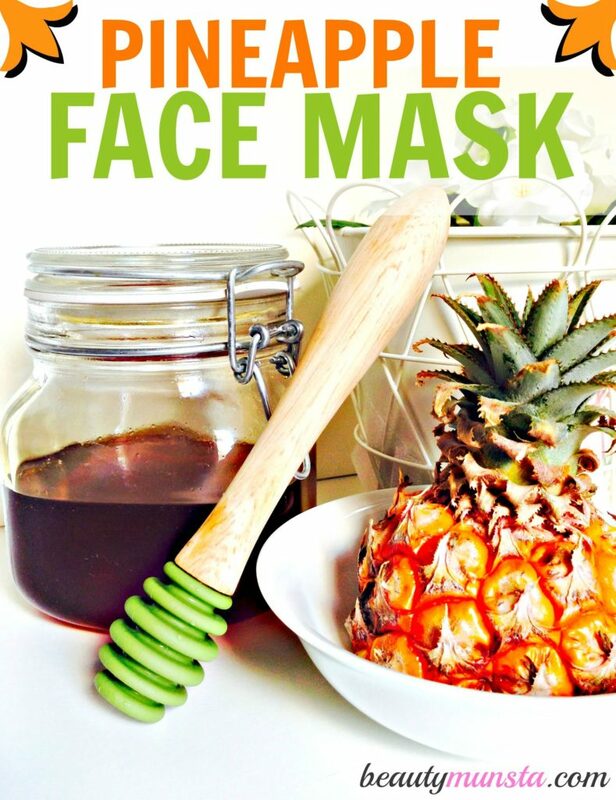 This is optional but you can so facial steaming before hand to open up your pores so the pineapple honey face mask can penetrate deep. 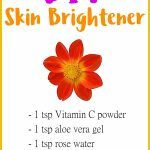 As an alternative, you can splash your face with warm water which will also open up your pores. Pat your face dry before you begin. Scoop up some of the pineapple honey mixture and paint it all over your face. Take care to avoid the areas around the eyes and mouth as skin here is thin and sensitive. Please do not get the face mask into your eyes! 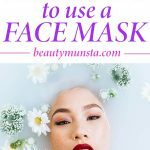 After applying, sit for at least 5 minutes as you wait for the mask to take effect. Rinse off the face mask with tepid/cold water when it starts stinging uncomfortably. Pat dry with a fluffy towel and apply moisturiser. Use organic honey for best results. The regular honey that comes in a bear bottle usually contains additives that may not sit well with your skin. Rinse off the face mask as soon as it starts tingling. Apply coconut oil to moisturize to soothe your skin after the chemical peel. Do chemical peel from once to twice a month depending on how your skin reacted to it. Some skin types are not used to natural fruit acids and can actually be irritated when subjected to such raw fruit face masks. 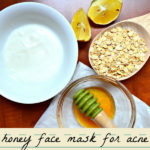 Please use more honey than pineapple if the face mask is too acidic for your skin. Remember to always do a small test patch on your inner elbow to see that you aren’t allergic to this pineapple honey face mask.